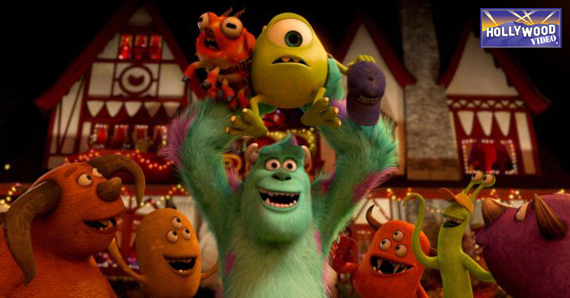 Monsters University topped the weekend box office for the second week in a row! Two things you can’t stop: The rock and Monsters University. The newly-released Monsters, Inc. prequel has come out ahead of the US box office for the second week in a row, making short work both of highly-touted blockbusters and groundbreaking new arrivals. It may be a formula, but it’s a formula that works. Monsters University brings back Sully, Mike, Randall and the rest and takes audiences back to their college days for a glimpse at how they became the superstar scarers that they were in Monsters Inc. The movie took in $82 million last weekend in its first week of release, and though it’s only a bit over half that amount this weekend, that was still more than enough to beat out the competition. Coming in with $40 million in its debut, this week’s number two film, The Heat, stars Sandra Bullock and Melissa McCarthy. It’s not the first female buddy comedy to make a strong entry, but it does stand out as a signifier of how women’s roles in film are changing and how the market — male and female — is responding positively to that change. After the success of movies like Bridesmaids, a new league of crass and, at least at times, hilarious comedies has emerged and The Heat is just the latest to find an audience. You’d think they’d look happier. Enough of an audience to beat out the decidedly dudely World War Z, White House Down and Man of Steel, anyway. Of those, White House Down was the only one in its first week of release. The movie stars Jamie Foxx and Channing Tatum and a bunch of explosions in Washington D.C., and works in a similar vein to Olympus Has Fallen, from earlier this year. But none of them were enough to take on the Monsters, which will have The Lone Ranger and Despicable Me 2 to contend with in the coming July 4 extended weekend. Who will come out on top? As soon as we know, you’ll know. This entry was posted in The HV Blog and tagged man of steel, monsters university, the heat, weekend box office, white house down, world war z by summerm. Bookmark the permalink.